>Adox HR-50 with Speed Boost ISO 50 35mm x 36 exp. ADOX HR-50 is based on an emulsion commonly available for technical purposes, featuring an ultrafine grain and superpanchromatical sensitization. Adox HR-50 is especially suitable for street and landscape and portrait photography. 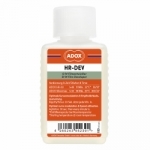 It is recommend it use with the dedicated developer, Adox HR-50 developer. The films' speed is enhanced to 50 ASA using Adoxs' new SPEED BOOST technology. 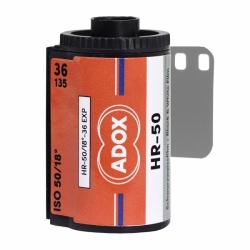 Adox HR-50 can be used as an infrared film and responds extremely well to any sort of filtration (yellow, orange, red, blue, green). The Adox Snap On gelatin filters are a perfect match.